Looking for a super cool motor-sports-themed poster or t-shirt? Check out the bold artwork featured on each 8380 product we offer covering historic events and successful race cars. Roll into your next Coffee & Cars event wearing a shirt others will envy or display a premium poster within your man cave! Check out all 8380 products and receive 10% OFF when you use promo code 8380 at Step #5 during Checkout! 15% OFF All 8380 Labs Posters & T-Shirts! 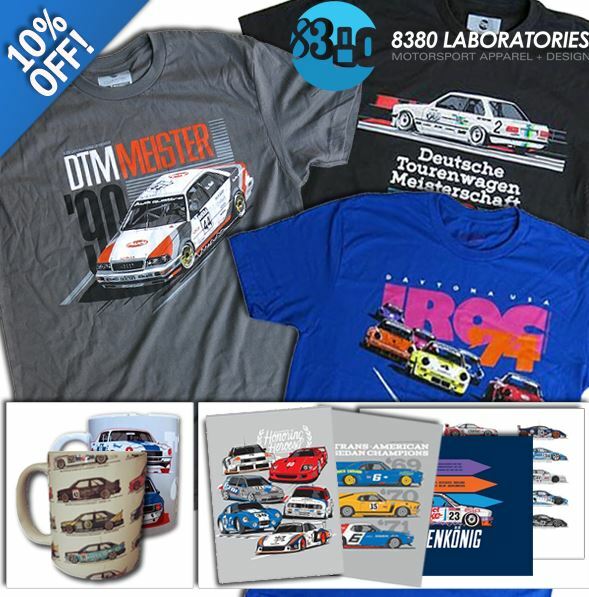 Quick Reply: 10% OFF All 8380 Labs Posters & T-Shirts!